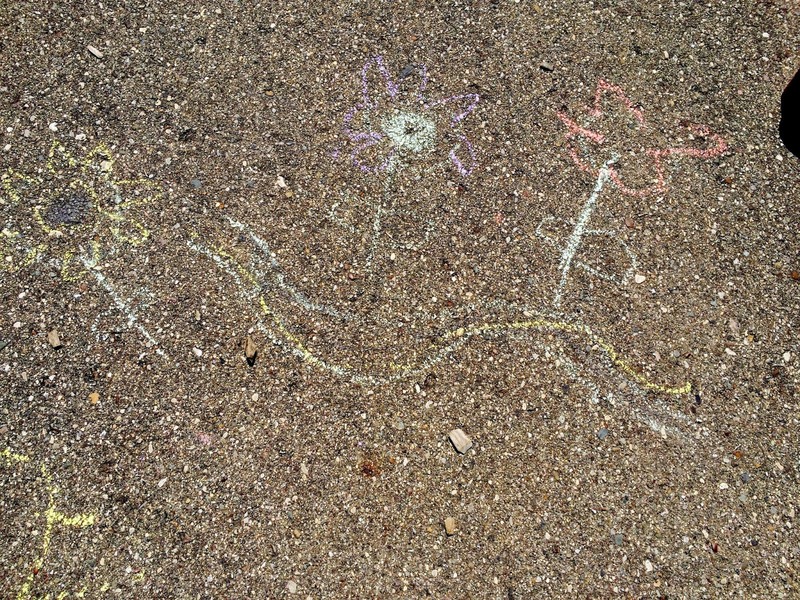 Well, the rain is really interfering with my ability to chalk my poem. BUT, it doesn't have to stop you! I've already seen some great chalk on Facebook. Be sure to link! 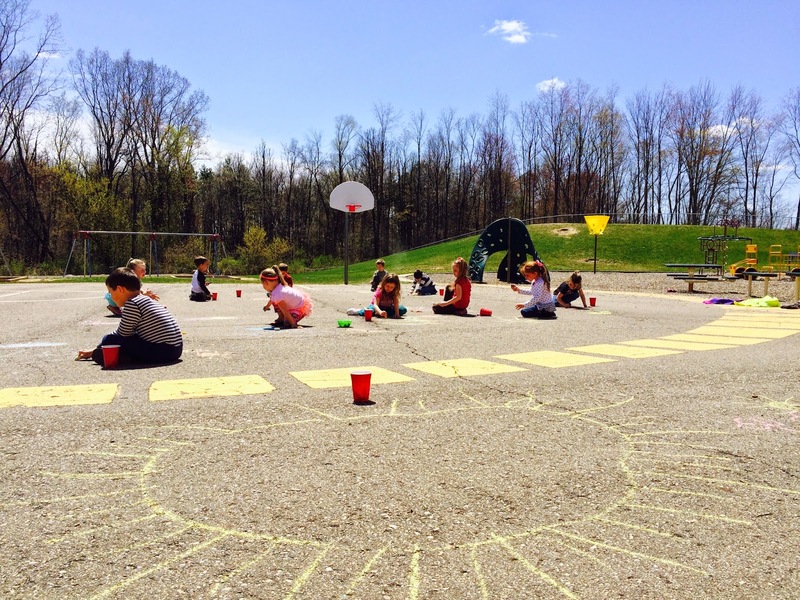 Starting this year, Chalk-A-Bration will go through October 31, 2015 and then take a break through the winter months. It will be back on March 31, 2016! 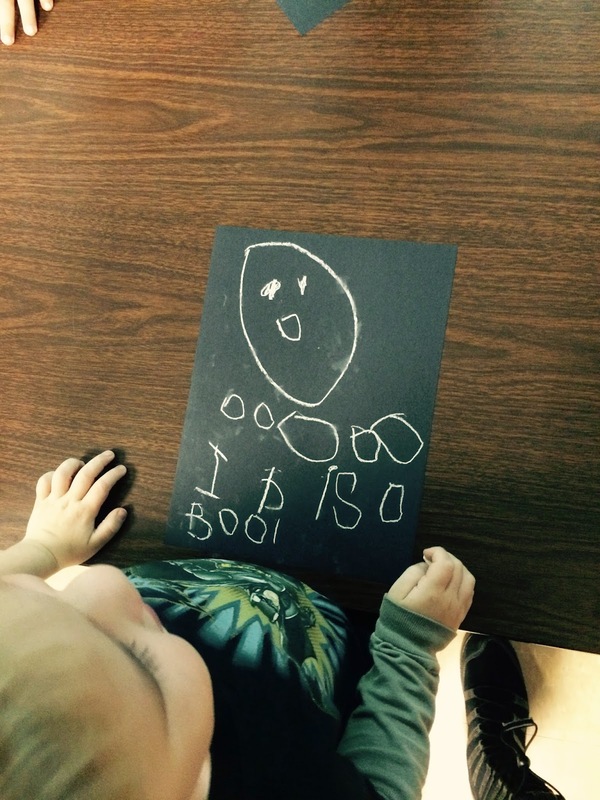 Hope you can join each month with your own or some student work! 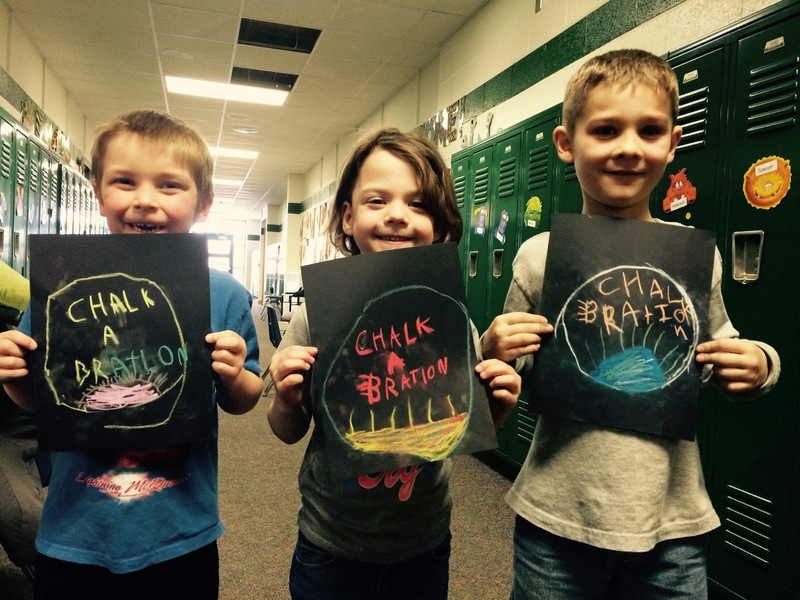 Chalk-A-Bration is today! Come enjoy a sunny day with my kindergartners. 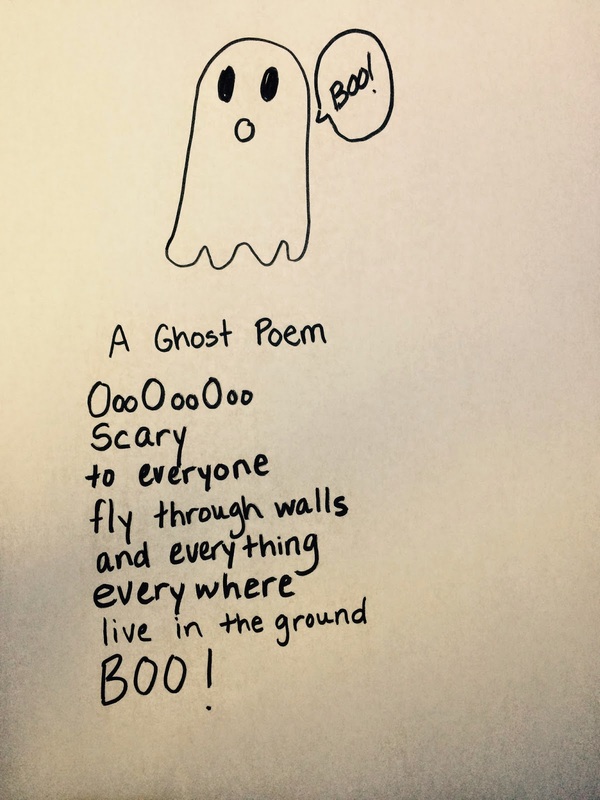 Link your chalk poem in the comments. For more information see the Chalk-A-Bration tab up top! Welcome to Chalk-A-Bration DAY! I hope you are rainless today and can chalk a poem to share. Link in the comments below! 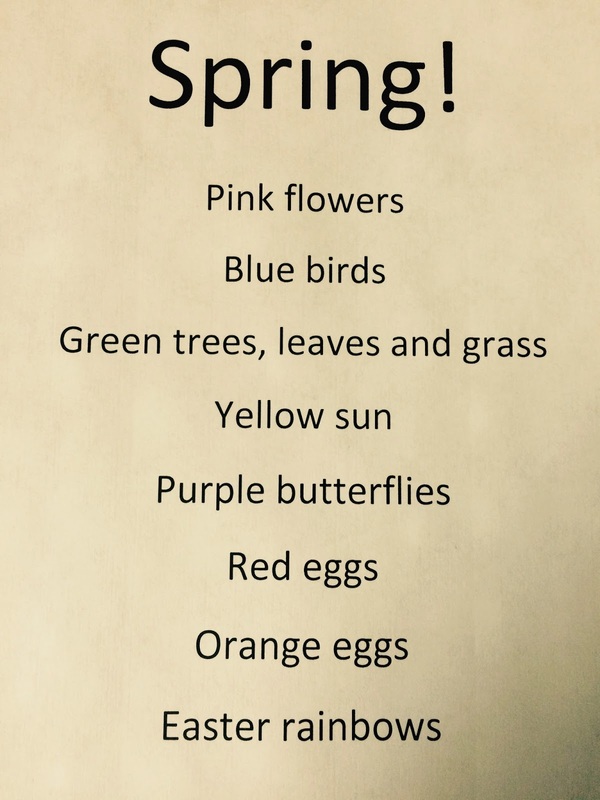 We made a spring poem for the changing season that we all remember and love. 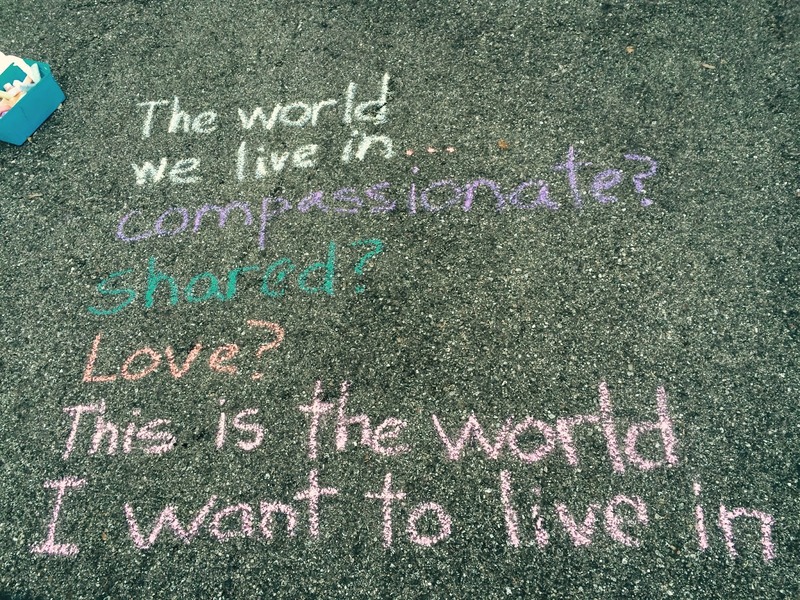 Here is our chalk poem on this cloudy, drizzly day. Much different from what we imagine spring to be. It's been a crazy winter in Michigan, as it usually is! 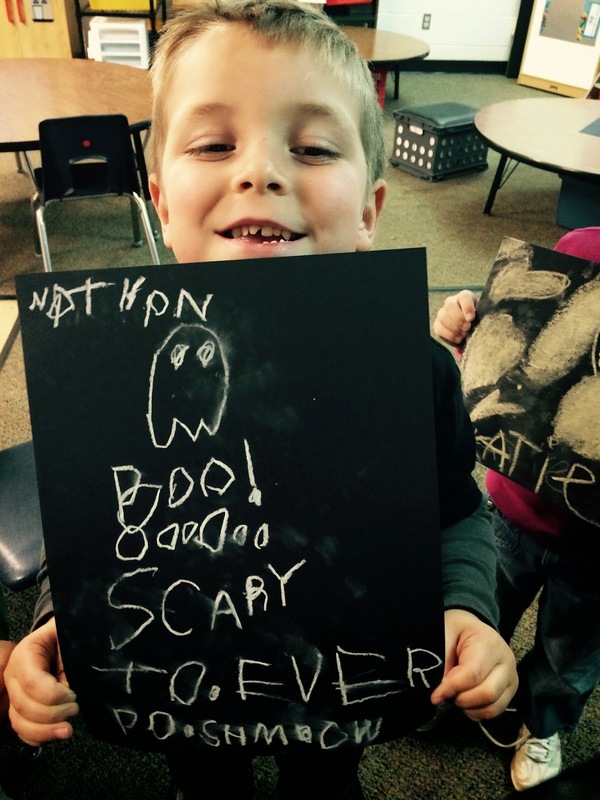 I hope to get chalking with my kiddos again soon. In the meantime, if you got creative and want to share your link, leave it in the comments below. 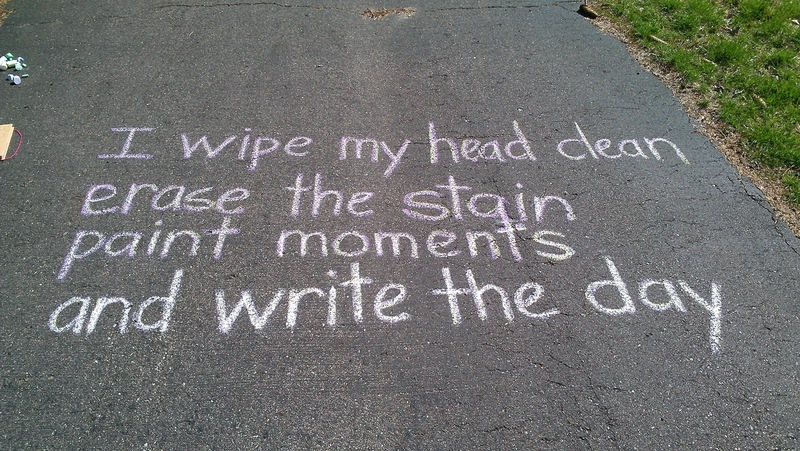 Here is a throwback chalk poem! 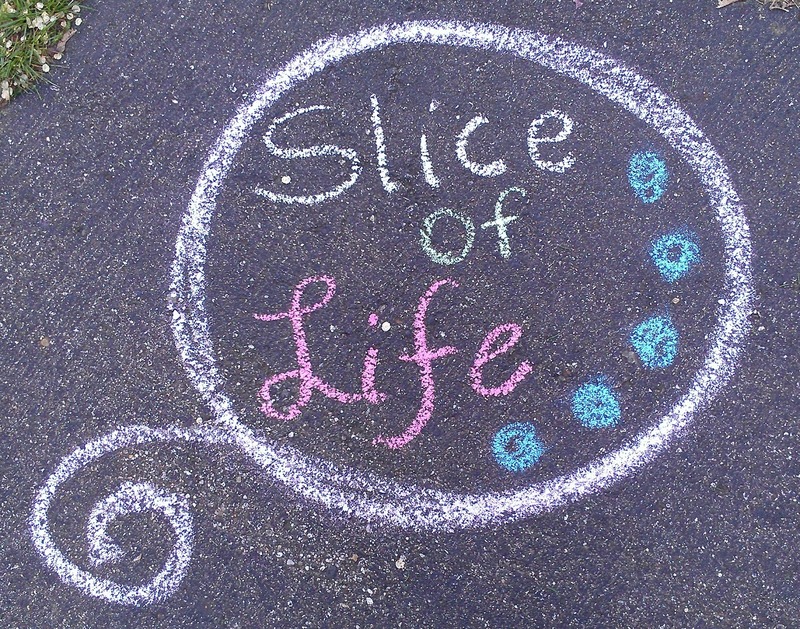 Slice of Life Story Challenge begins tomorrow! See the Two Writing Teachers page for details! If you know me it is clear that my utmost purpose in my classroom is to build community and kinder kids. I am always on the lookout for books that emulate this message of kindness and courtesy toward others. Recently I was given the book, Demanding Dudley written by Deneen Renae and illustrated by Leslie Pinto, part of a series of books called The Wiblets. This book peeks inside the power of using our magic words, "please" and "thank you." Dudley is a comical monster who demands things from his mother. Like most good moms, she responds gently with a reminder, ""Is someone being a demanding Dudley?" The book introduces children to words like, appreciated and thankful, explaining their meanings and how they make others feel. I would recommend this book to parents and teachers (prek-2) when helping children learn the power of kindness and being mindful of how we talk to others. The book can be purchased from The Wiblets webpage. Every purchase from their website contributes to the charity, The Hawn Foundation. This month's poem was inspired by something I saw on Facebook. A piece written by Naomi Shihab Nye. Read it here. 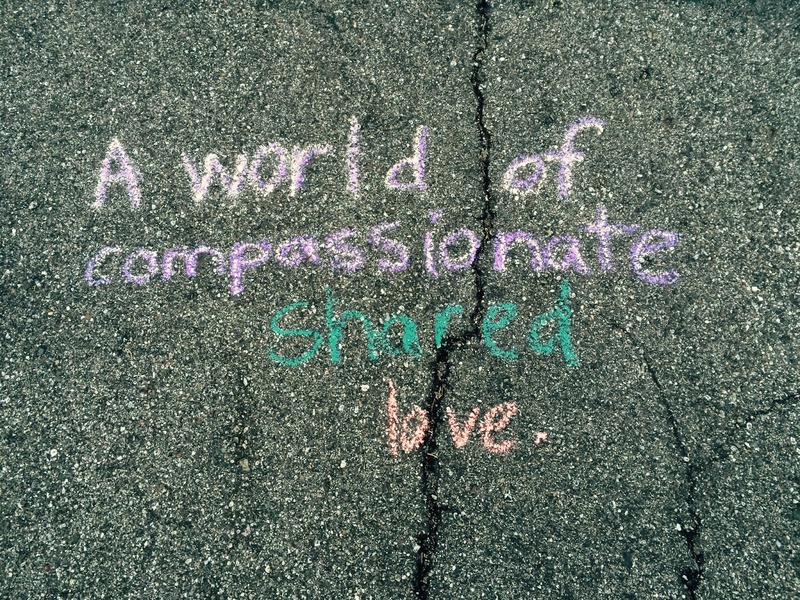 I hope you will share your own chalk poetry today and find inspiration to share with others. Link below in the comments! For more information on Chalk-A-Bration, click the tab above labeled Chalk-A-Bration. 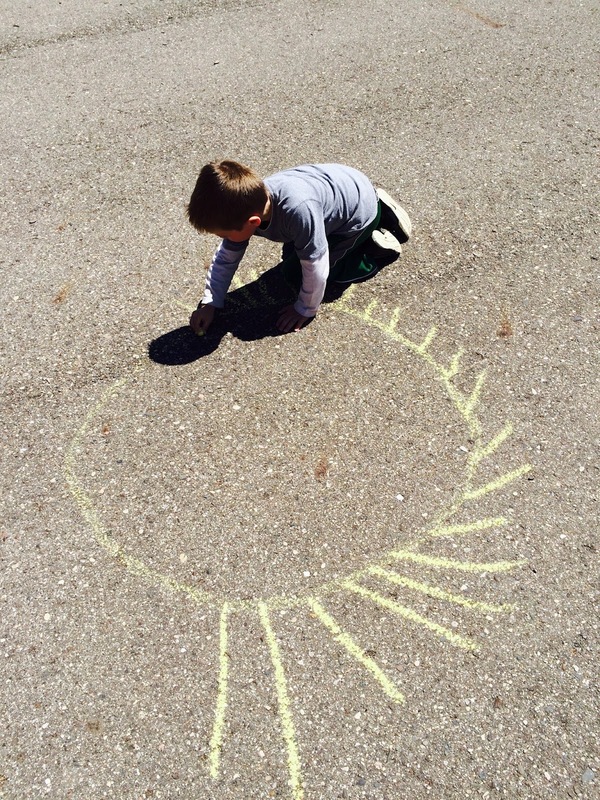 Today is Chalk-A-Bration, a celebration of chalk and poetry the last day of each month. 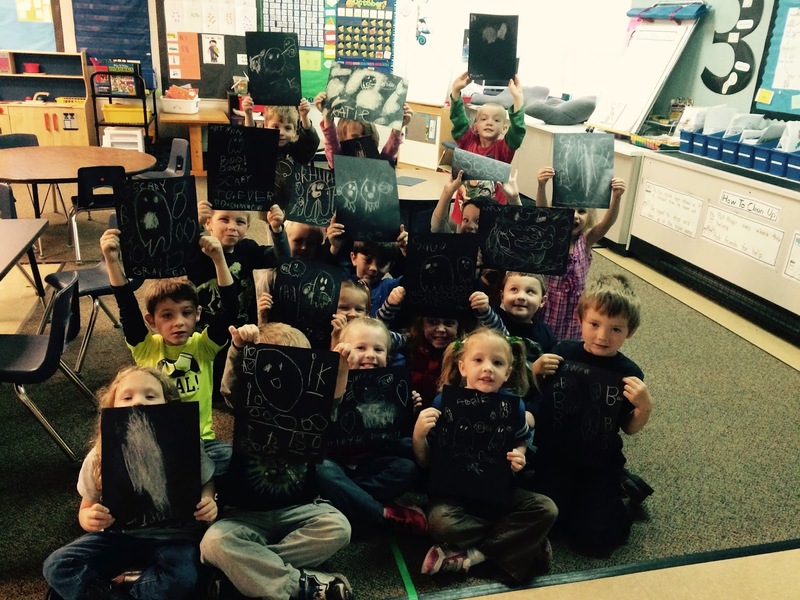 This week we wrote a ghostly poem and students did chalk illustrations. 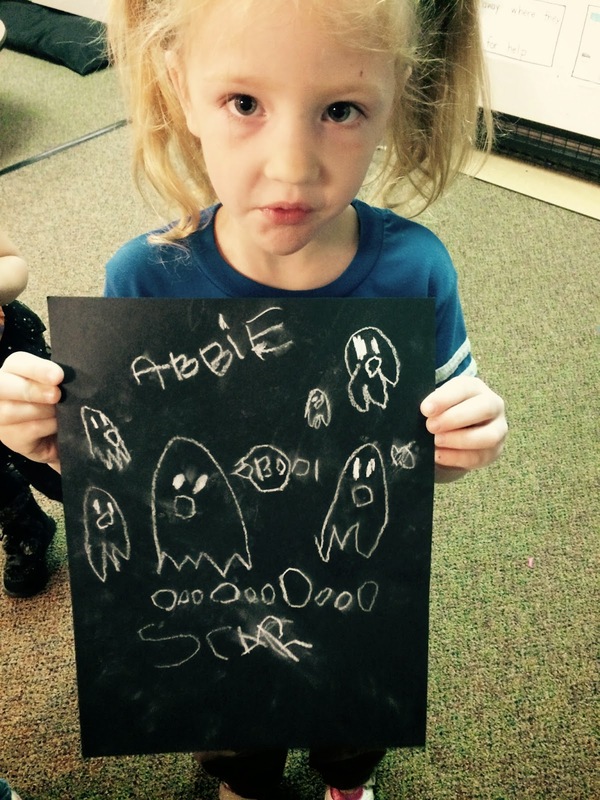 I asked students, "Tell me, what are some things ghosts will do or say?" Below is a list of their ideas made into a list poem. Then students took that idea and made their own illustrations for the poem. Some students even tried to put some letters and words from the poem on their paper! Here are all the chalker! 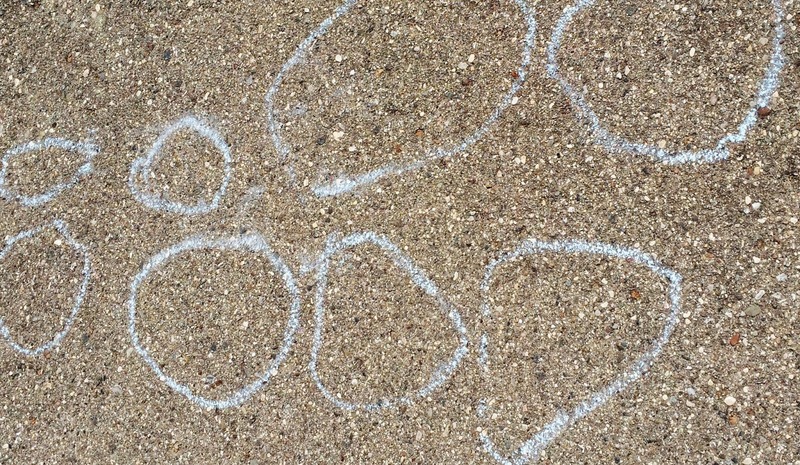 I hope you will join in for Chalk-A-Bration by leaving your link in the comments!